Alitame is an amino acid-based sweetener that is 2,000 times sweeter than that of sucrose or table sugar, 12 times sweeter than aspartame, and six times sweeter than saccharin. It has a clean sweet taste with no unpleasant aftertaste and it is sold under the brand name Aclame. 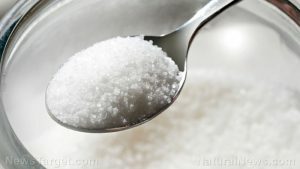 It was developed by Pfizer Central Research in the 1980s in response to the discovery of aspartame, a man-made sweetener. Like aspartame, it is a protein and a dipeptide. It is made up of the two amino acides, L-aspartic acid and D-alanine. The Joint Expert Committee on Food Additives (JECFA) concluded that alitame was not carcinogenic and did not show reproductive toxicity when they reviewed the safety data on the compound in 2002. Alitame has already been approved for use in range of foods and beverages in countries such as Mexico, Columbia, China, Australia, and New Zealand. Approval is also being sought in the United States, Untied Kingdom, Canada, and Brazil. As of this writing, there are no reported side effects of alitame. In fact, it has zero calories per serving and zero glycemic index, which makes it suitable as part of a diabetic diet. It was also found that it is not harmful to teeth. However, like all other artificial sweeteners that contain zero calories, it does not always appear to be effective against obesity and diabetes. Some statistical and clinical tests have repeatedly shown this. A 2014 study found that artificial sweeteners affect the bacteria in the bowel in harmful ways. Tests showed impaired glucose metabolism in subjects, human and animal, who moderately consumed theme over several weeks. The potential harmful effects of alitame consumption needs more research. There is very little known about the potential physical effects of the substance in the body. However, the fact that zero calorie sweeteners affect the glucose metabolism of those who consume them moderately is alarming. Since these sweeteners do not exactly appear to be effective for obese and diabetic people, and have no role in weight loss, it may be a poorer choice than regular sugar. Alitame is an artificial sweetener with zero calories that is 2,000 times sweeter than table sugar. There are no reported side effects of consumption of this substance, but it has not been proven to be effective for those people who are trying to lose weight or those who suffer from obesity and diabetes.